Errol Brown Q&A - BigReggaeMix.com - The Global Healing Station! Errol Brown is considered by many to be a Producer’s Producer. understanding and passion for creating music that is timeless. reggae album of all time with ​over 30+ Million copies sold globally. We sat down with Errol Brown over Skype and in-person to discuss various aspects of his career. 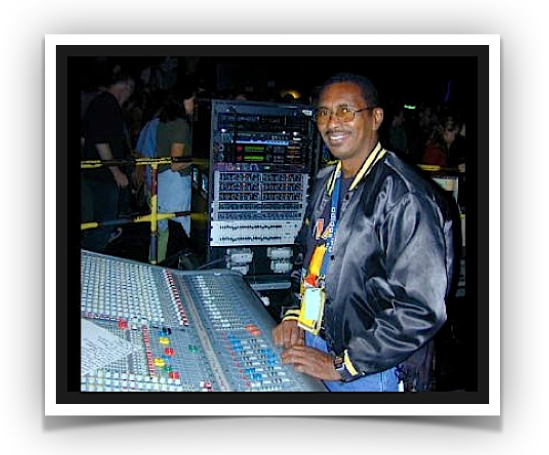 Mr. Brown brings a great deal of depth and experience to our team at BigReggaeMix.com (The Global Healing Station). SB: Describe what you do please. EB: I am a Sound Recording & Mixing Engineer, plus a Producer. SB: When did you start Sound Engineering and Producing? serious drilling, it wasn’t easy. SB: How was sound engineering different when you started, compared to now? EB: When I started it was really hard because you have to record everything one time, it's like mixing a song now, the balance had to be accurate, because those days the recording machine was 1-track, then 2-Tracks, then 4-Tracks, then 8-Tracks, then 16-Tracks, then 24-Tracks, then 48-Tracks, now unlimited tracks. No fixing or correcting when I started, unlike today's world, every instrument is on a separate track, so you can take out, or replace any mistake, I know it's strange but I love the digital world we are in today, the sound it's just perfect, no tape hiss, no scratchy records, so better separation, what you record is what you hear when you play back. In the early days I would have to align the tape machines to get the best quality, and you don't care how perfect you aligned these machines, the bass drum and the bass guitar would come back very heavy. I personally didn't like that, I always want to get back the sound I put on tape, I know the American Engineers love that, always talking about warmth you get from tape (that you don't get from the digital world but it definitely does not bother me. Love it. Ha ha! SB: Errol, you said when we spoke that you love digital and would never go back to analog, can you expand on this a bit? and bass to sound. After that I record it in protocols and also mix in protocols (In The Box). SB: When did you start working for Bob Marley? EB: I started to work for Bob Marley when I left Treasure Isle Studios. SB: Do you remember the first time you met him? personal engineer in those days. SB: What was your first impression? EB: Well I wasn't scared, because I was and still am not “star struck.″ It was just like meeting a regular person, and that's the way he was in any case, what got me frightened was when he took me in the studio and lifted the cover off the MCI Recording and Mixing Console. It was really frightening - imagine I'm coming off a very simple 12 Channel console and buck up this 36 State of The Art Console, didn't know if I could do it but I got brave and challenged and conquered it. ﻿SB: How did your professional relationship with Bob Marley and the Wailers happen? SB: Which albums did you work on with Bob? What songs did you produce? with Bob Marley and the Wailers. "Legend" was a mixture of some of my mixes. SB: Were there any songs you worked on, while you were making them that you knew would be big? Which ones? ﻿SB: What was it like to produce a song like “Redemption Song″ and to tour and hear massive crowds sing along after so many years? EB: I think it is and will always be a classic. I must say thanks to Chris Blackwell. We were struggling all day with the band to get the right feel for the song, and in the afternoon he walked in the studio, listened and then pressed the talk back and said to Bob “A song like this I see just you and acoustic guitar doing it.″ Bob looked up and asked “Yeah?″ Next he just records it the way Chris Blackwell suggested and it will always be a Bob Marley classic track. So you see Bob didn't have any ego, he was humble and down to earth with everyone. SB: What inspired that song? EB: Only Bob could answer that question, you know he really is a prophet, listen to the lyrics. ﻿SB: Do you like being someone who a lot of people don't really know “who you are” but having made such a big impact in reggae music? EB: You know something the whole world knows about the engineer/producer Errol Brown, but there are a lot of people who see me on stage and at the mixing console, but if no one don't say they don't know it's me, I think because I don't look my age sometimes these engineers keep messing with my sound and get me angry, then they know who I am, I never brag about myself until they interfere with my sound; these engineers not using their ears, they are using their eyes and looking at meters. That is so messed up! SB: What were Bob Marley and the Wailers like in the studio? SB: Do you have any memories of working with them in the studio that stand out? EB: Just being there to be a part of their creation, that never leaves me. 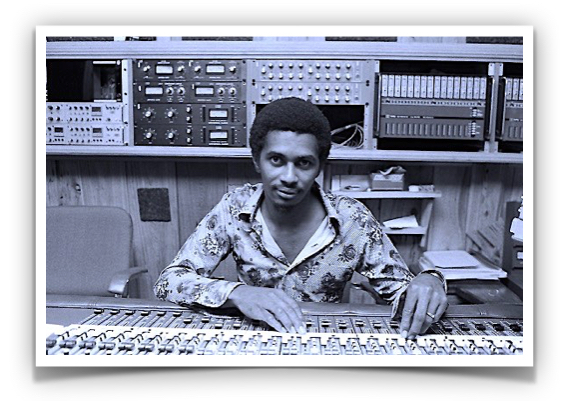 Errol Brown behind the recording and mixing console. SB: Was the band the same on tour as they were in the studio? EB: On tour there were tensions and excitement, touring is hard you know, no one wants to make mistakes, they just want it perfect all the time. SB: What are some stand out memories you have touring with Bob Marley and the Wailers? SB: You mentioned when we spoke that you were with Bob Marley on his final Uprising tour. Did you find the vibe different than any other tours? EB: My first concert with Bob was when we went to Zimbabwe's Independence Concert. My first tour with him was Uprising, before I was left in the studio doing what I do best. Ha!! SB: Did you know when you met Bob Marley and the Wailers that you were working with legends? EB: I realized this when I started touring with them, seeing huge audiences and the energy on the stage. SB: Can you describe what you did between the time Bob Marley passed to working with Rebelution? EB: Before and after Bob passed I was working with Rita Marley and the Melody Makers in the studio, so then we started touring with Ziggy Marley from then. After that it was on to working with Rebelution. 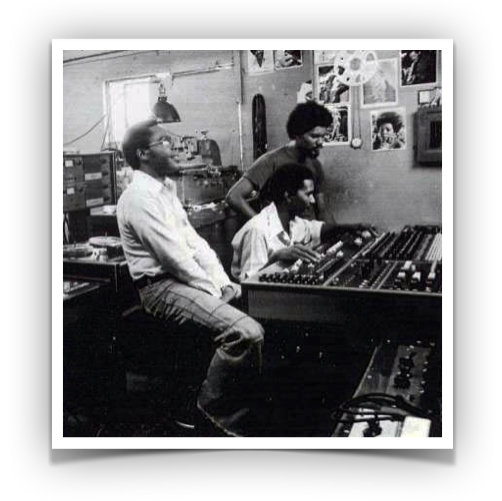 with Errol Brown at the mixing board. Live at SDSU on August 7, 2014. SB: Why did you start working with Rebelution? EB: A friend hooked me up with Rebelution when they were looking for an Engineer to tour, so when Ziggy was busy I would join them, loved the energy of their music and lyrics. After awhile they wanted a full time Engineer to have a consistent sound, was trying to hook them up with my son Shane Brown, who have my sound, but he don't like long tours because he is in Artist Management and producing so he had to stick to business -- so Ziggy Marley took a long break which was not healthy to my pocket...and I decided to move on. It was time to move on and their music puts energy in my life and career, rock mixing Reggae, always wanted to do some rock mixing, so now it is even better, rock mixing with Reggae. I think Rebelution is going to put Reggae music back up there. Right now Rebelution has a huge audience and fans, you can hear them singing along, it makes me so happy. SB: You've won two Grammys for "Best Reggae Album" with Ziggy Marley and Stephen Marley, did you expect to win? EB: Well, it's really 5 Grammys under my belt, but you know how I am, I don't expect, always leave everything to God, he will give me rewards where it is due. SB: Errol, you had mentioned when we spoke that you have known Ziggy and Stephen since they were kids in diapers. What were they like as kids? EB: They had fun always playing in the Studio, their Father always asked me to keep them out, don't want them to break anything. Ha ha! ﻿EB: I think Dancehall music was stifling the good music, and dancehall don't draw a huge audience worldwide, but it's all good, it is coming alive again. EB: I usually please musicians and singers in the studio, now I get to please musicians, singers and the audience, so it gives me much happiness. SB: Will you be touring until the end?